His research for a thesis on the Anglo-American poet TS Eliot, led him to St. Louis (Missouri) with a grant from the Ford Foundation in 1988. It is in this city that the poet was born and his grandfather was a founder of Washington University where currently teaches … Qiu Xiaolong. With the events of Tiananmen Square in June 1989, he decided to stay in the United States. 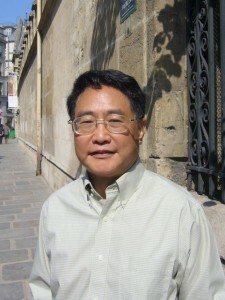 He completed his thesis while publishing some of his poems and translating famous Chinese poets. Teaching, successful novels, all this never led him to neglect poetry as a poet or as a translator. He explains the difficulties of translation by commenting on collections already available in an excellent interview (1). He himself published several collections (2) of his translations, focusing on his favorite poets, from the Tang (618-907) and Song (960-1279) dynasties and especially Li Shangyin (813-858) . 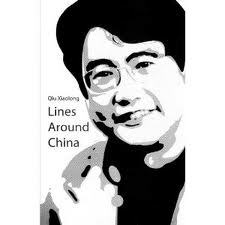 He then released in 2008 “Lines around China” (3), a collection of his poems in English where he separates the poems written in the U.S. (“Lines out of China”), the poems written during his travels in China ( “Lines in China”) or re-written in English (for those written in Chinese many years ago). Finally “Cathay Revisited” gives us poems originating from his dialogue as a translator with Chinese poets. Dialogue between poems in “Lines in China” is also a conversation around the characters and incidents from the short stories in the collection “Years of Red Dust”, would it be the Cultural Revolution (1966) or the visit of President Nixon (1972). The beautiful poem “Pill in Picture” evokes a topic of the short story “Pills and a photo” (1976). “Years of Red Dust” comes from a lane in Shanghai, in the French Concession area, near where the young Qiu Xiaolong lived. He spent hours with his friends, listening to the stories of the neighbours enjoying outside cooler evenings. Each year, or rather 24 separate years since the establishment of the People’s Republic in 1949, are one after the other the subject of a short story, introduced by the wall newspaper of the year as it could have been displayed by the Party on walls of Red Dust Lane. These short stories develop oral anecdotes, events that affect the lives of residents, common people … Gossips and comments on significant events, landmarks of the abrupt changes in the history of China. Some of the historical events mentioned are already known, the reader will not be too confused, but the talent is in the manner of commenting, of telling them. We can not forget beautiful portraits (the poet worker, the factory manager during the Cultural Revolution) that are also indirect criticism of the regime .. or the society. Moving portraits: she returned from a POW camp in Korea, she is not dead as previously announced, the price to pay will be very heavy (this is also a topic of a major novel by Ha Jin “War Trash”). These short stories are read with great pleasure, this is why we are quite happy to hear that a second collection covering another 20 years is being translated by his French publisher; it will be interesting to ask one day to the author why some years have been left out …! (2) “Hundred Poems from Tang and Song Dynasties” Betterlink Press 2006. “Evoking Tang: An Anthology of Classical Chinese Poetry” Penultimate, July 2007. “Classic Chinese love poems”. Bilingual collection published in China. 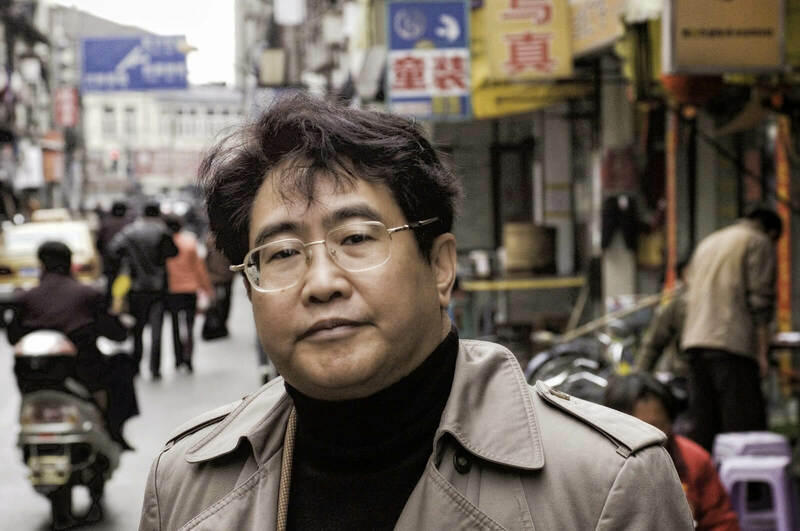 (3) Qiu Xiaolong “Lines around China.” Neshui Press 2008. 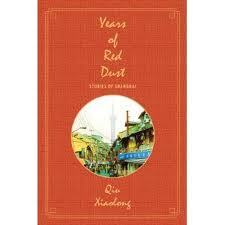 (4) Qiu Xiaolong “Years of Red Dust”. St. Martin’s Press 2010.